The state of destruction in Ramadi is the worst than anywhere else in Iraq, a UN team announced. They visited the ravished city for the first time since its recapture from Islamic State [IS] group in December by pro-Baghdad forces. The damage was described by the group as « staggering » with the city’s central hospital and main train station a pile of rubble, as are thousands of other buildings in the city. Nearly every building in the frontline areas had been destroyed, the two-day-assessment found. In other districts, a quarter or a third of buildings were damaged, the report said. At least 64 bridges were completely destroyed, locals told the UN team. The time and cost needed to rebuild Ramadi cannot yet be determined, Grande said. Iraqi forces declared victory over IS in the Anbar province capital last December, after it was taken over by IS militants in May 2015. Six months of fighting left the city’s infrastructure shattered. Houses that once homed around half a million people were mostly levelled to the ground. Meanwhile, IS militants continue to hold pockets of territory in the northern and eastern outskirts and the fighting there remains intense. The UN team worked to identify potential relocation sites for returning residents but the Iraqi government is yet to give the all clear for the civilians to return to their homes. Some displaced families did make their way back to liberated parts of the city, but the UN warned against the great risks faced from leftover bombs. Bombs planted by IS militants in streets and buildings have not yet been cleared as the task requires funding the Iraqi government lacks. The UN assessment team said the greatest concentration of booby traps was in south-central Ramadi. Last week, the UN reported that eight people were killed while either surveying their homes or attempting to disable an explosive device. « People who have been displaced want to return home as quickly as possible, » Grande said. « Making sure they can do so safely is everyone’s responsibility. Booby-traps and IEDs have to be cleared first, » she urged. Bomb disposal teams defused hundreds of explosive devices across the city. But the lack of funding has slowed efforts to clear Ramadi of explosives, Anbar’s governor Suhaib al-Raqi said last month. An initial assessment of destruction in Ramadi carried out by the UN in January said more than 4,500 buildings have been damaged or destroyed during the battle to reclaim the city. 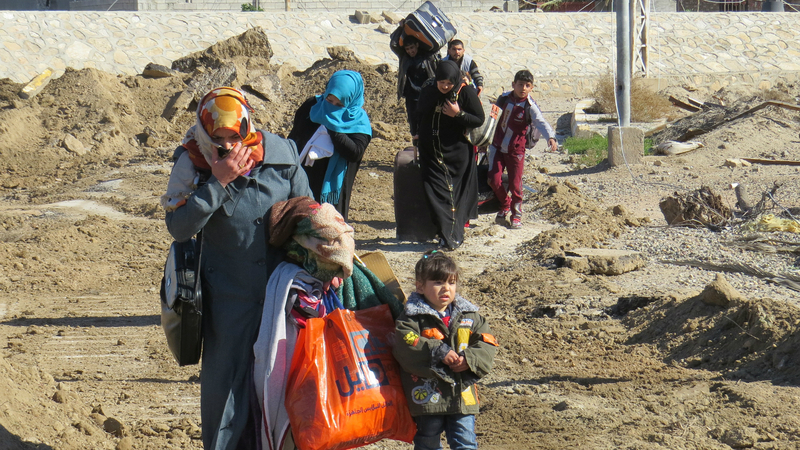 In Iraq, more than three million people have been forced to flee their homes since January 2014, according to the UN. It estimates that an additional three million people are living under IS control in Iraq. 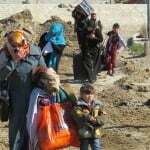 In contrast, about 500,000 civilians have returned to their homes following the Iraqi military campaigns to bring areas back under government control.